You can download alarm clock for Windows 10, 8.1, 8 and 7. 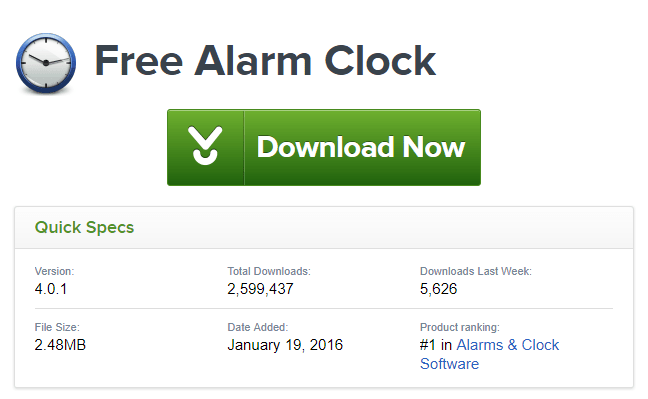 Users can use these alarm clock on all version of Windows PC/Laptops. We have shared both inbuild and external download version. 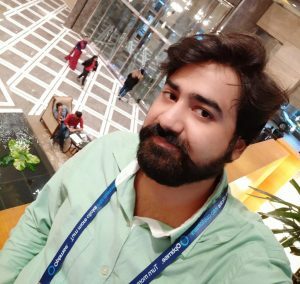 You can use any method and set up an automatic alarm clock for Windows computer. 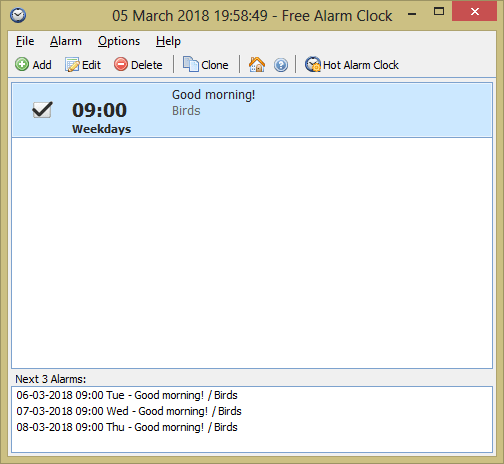 Users can even setup and sound in their Windows Alarm clock. I have shared a different and easy method for every Windows version. Till now you might know that our Smartphones and Watches has Alarm clock facility. But, did you know our Windows Laptop/PC also has the alarm clock feature? If no, then do not worry. In this article, we will talk about the same. Also, in this guide, you will get to know that how quickly you can set up an alarm clock on your Windows 10, 8.1, 8 and 7. 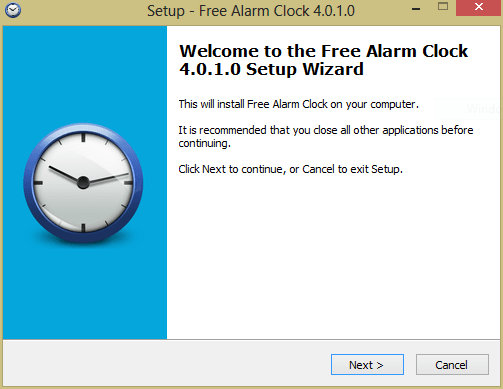 You can use alarm clock feature on every Windows computer whether it is Windows 7 or whether it is Windows 10. Yes, you can set up an alarm clock for Windows 10 easily. In our daily life, an alarm clock is essential. Alarm clocks play a significant role in our daily life. Alarm clock saves our time, help us to wake up early in the morning, and much more. The most important part is that human can become late, but alarm clock never becomes late. 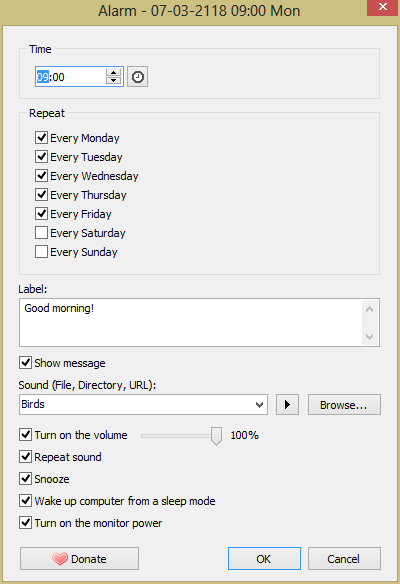 In Windows PC/Laptops, we can easily use this alarm clock feature. Some of the Windows have the inbuilt feature of an alarm clock. But, in some of the Windows, we have to install a software that can help us to use the alarm clock feature efficiently. Also, let me tell you that software for the alarm clock feature is free to use as well as the inbuilt feature. It is also straightforward to configure. We can quickly set them by just using some clicks. So, follow the guide below to know how to enable alarm clock for Windows 10, 8.1, 8 and 7. In Windows 10, setting up an alarm clock is a straightforward and simple task. Also, in Windows 10, setting up the alarm clock is an inbuilt feature. You do not have to download and install any extra software to do so. Just follow below steps to set up the alarm clock for Windows 10. First, click on Start button. Then, click Alarms & Clock. Now, go to Alarm tab. From the Alarm tab, configure a new alarm according to your wish. That’s it. You have now set up an alarm clock for Windows 10. Enjoy! In Windows 8.1 we can set up an alarm clock without installing any extra software. In Windows 8.1, setting up an alarm clock is an inbuilt feature. So, that’s why we do not have to download any additional software, drivers, etc. What you only have to do is that merely follow the below-mentioned steps. After below-mentioned steps, you will learn how to set up or enable alarm clock in Windows 8.1. At first, go to Start screen. Now click on Search and type “Alarms“. Then, select Alarm app from the search list. Now, click on the Alarm tab. Then, click on”+” button and add a new alarm. That’s it. Now, set the date and time in the alarm. en do not worry. I have a fantastic solution to use the alarm clock feature very quickly in Windows 8 & 7 computers both. You just have to follow below-described steps only. So, what you are waiting for? Go through the guide now. First of all, ge software which is Free Alarm Clock. After downloading, install that software. After installing, the homepage of the software will be opened. Simply, double-click on the Time on the homepage. Lastly, configure the alarm clock according to your wish. Done! Now, your alarm clock will ring at your given time. So, this was the full guide on the topic “how to set up an alarm clock in Windows“. If you want to set up an alarm on your Windows PC/Laptops, then this article will be beneficial for you. Also, you can take help of this article if you want to set or enable alarm clock for windows 10. Comment below for any query regarding this topic. Share this with your friends too and let them know how they can allow or set up an alarm on their Windows PC/Laptops.